Coffee House Press, 9781566894913, 160pp. 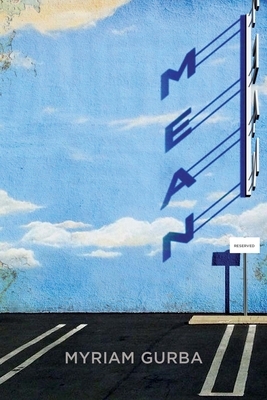 True crime, memoir, and ghost story, Mean is the bold and hilarious tale of Myriam Gurba's coming of age as a queer, mixed-race Chicana. Blending radical formal fluidity and caustic humor, Gurba takes on sexual violence, small towns, and race, turning what might be tragic into piercing, revealing comedy. This is a confident, intoxicating, brassy book that takes the cost of sexual assault, racism, misogyny, and homophobia deadly seriously. We act mean to defend ourselves from boredom and from those who would cut off our breasts. We act mean to defend our clubs and institutions. We act mean because we like to laugh. Being mean to boys is fun and a second-wave feminist duty. Being mean to men who deserve it is a holy mission. Sisterhood is powerful, but being mean is more exhilarating. Being mean isn't for everybody. Being mean is best practiced by those who understand it as an art form. These virtuosos live closer to the divine than the rest of humanity. They're queers. Myriam Gurba is a queer spoken-word performer, visual artist, and writer from Santa Maria, California. She's the author of Dahlia Season (2007, Manic D) which was a finalist for the Lambda Literary Award, Wish You Were Me (2011, Future Tense Books), and Painting Their Portraits in Winter (2015, Manic D). She has toured with Sister Spit and her work has been exhibited at the Museum of Latin American Art in Long Beach. She lives in Long Beach, where she teaches social studies to eighth-graders. Myriam Gurba lives in California and loves it. She teaches high school, writes, and makes "art." nbc described her short story collection Painting Their Portraits in Winter as "edgy, thought-provoking, and funny." She has written for Time, kcet, and The Rumpus. Wildflowers, compliments, and cash make her happy.